Due to self-imposed policy, the People&apos;s Republic of China (PRC) does not base military forces in foreign countries, and PRC officials have used this as evidence of China&apos;s peaceful development. However, China&apos;s growing global economic and political interests are causing Beijing to take a more nuanced approach to its policies regarding the deployment and employment of military force. 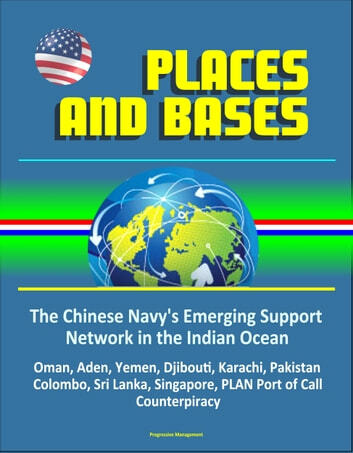 Specifically, the ongoing deployment of People&apos;s Liberation Army Navy (PLAN) warships to the Gulf of Aden, now in the sixth rotation of combatants, to guard international shipping against pirates operating from the Horn of Africa has highlighted the need for shore-based logistics support for PLAN forces operating in the Indian Ocean. Over the past year, public statements by Chinese academics and government officials have indicated that there is a debate going on in China over the need to establish some sort of overseas infrastructure to support deployed naval forces. Rear Admiral Yin Zhou (Retired), chairman of the Chinese Navy Informatization Experts Advisory Committee, opined during an interview on China National Radio in December 2009 that China requires a "stable and permanent supply and repair base." Rear Admiral Yin&apos;s interview was picked up by the international press circuit and has generated a great deal of excitement, although in reality he did not say anything that has not already been said by other Chinese government officials and academics. Despite an immediate retraction by the Ministry of Defense, it is even possible that Rear Admiral Yin&apos;s statements and similar statements by other officials are indications that Beijing is preparing to announce that it has reached an agreement with a nation or nations in and around the Gulf of Aden to provide logistics support to PLAN forces deployed to the area. Public statements from Chinese officials regarding this issue suggest an effort to "test the waters," to gauge and shape international reaction to such a move prior to announcement. 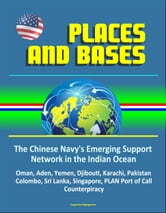 Chinese officials and academics made similar statements during the fall of 2008 prior to the announcement by Beijing that PLAN ships were deploying to the Gulf of Aden to participate in counterpiracy operations.